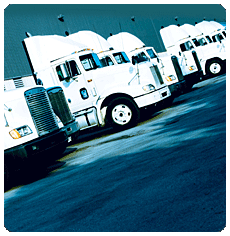 The FreightDATA LTL Dispatch software package is an integrated, full-featured enterprise software solution. The LTL application includes Dispatch, Rating, Billing, Manifesting, A/R, A/P, G/L, Interlines, Management & Financial Reporting, Tracking & Tracing, Driver Management & Pay, Credit & Collections, Equipment Maintenance, Sales & Commissions, Statistics & History. Extended solutions may includes Payroll, EDI, Imaging, Warehousing and Web Tracing. The FreightDATA system can also interface to other systems such as PC*Miler and 3rd party accounting systems. The system offers a number of best-in-breed solutions that makes it unique from other systems. Customers can select from two dispatch modules that can meet specific business environments. It also includes a quote engine and proforma capabilities for identical load builds. The system provides the most flexible rating files available with a multitude of options that allow the freight carrier to negotiate a relationship with the client that meets the needs of both the carrier and the shipper.Companies can rate and bill by any number of measurements. The system includes Distance Table 8Z (DT8Z) with each LTL System. The FreightDATA software package was developed to allow customers to modify the system to match their business environment rather their business environment to match the way the system was developed. Customers can turn on/off areas of the system to fit their operation or even prevent unauthorized access to users that do not have authorization rights.